In the World Library of Educationalists series, international experts themselves compile career-long collections of what they judge to be their finest pieces – extracts from books, key articles, salient research findings, major theoretical and practical contributions – so the world can read them in a single manageable volume. Readers will be able to follow the themes and strands and see how their work contributes to the development of the field. Religious Education for Plural Societies highlights key writings from Robert Jackson’s international career in education. It provides a historical perspective in relation to current debates about religious education in the UK and internationally, drawing attention to current issues of concern. Carefully selected examples explore the key themes in religious education that allow us to consider how things were, how they are now and the future for the field of study. Split into parts: empirical research; the interpretive approach to religious education pedagogy; religious education and plurality and human rights and international policy developments, Robert Jackson also provides an overview of the text in the form of a general introduction, and also introductions to each section of the book, allowing the reader a personal insight into why each piece has been chosen. 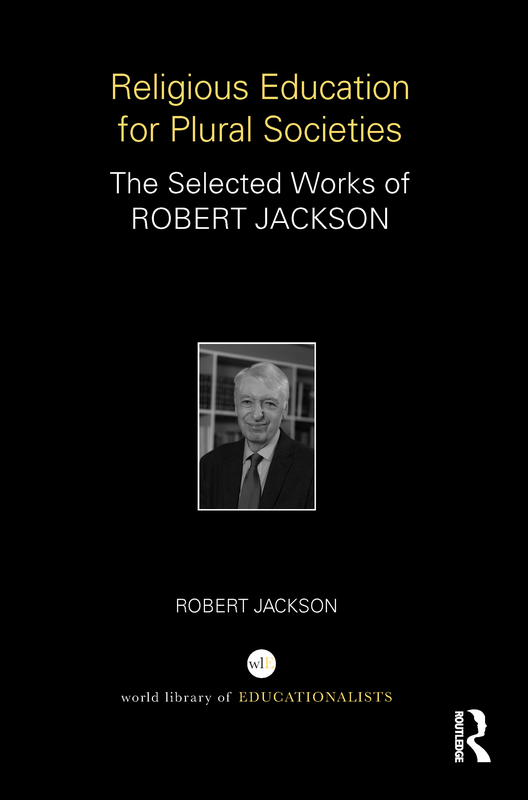 Religious Education for Plural Societies allows readers to follow themes and strands across Robert Jackson’s career and see how his work has contributed to the development of the fields of religions and education. It will be of interest to all followers of Robert Jackson’s work and any reader interested in the development of religious education in the UK and internationally. The politicisation and securitisation of religious education?